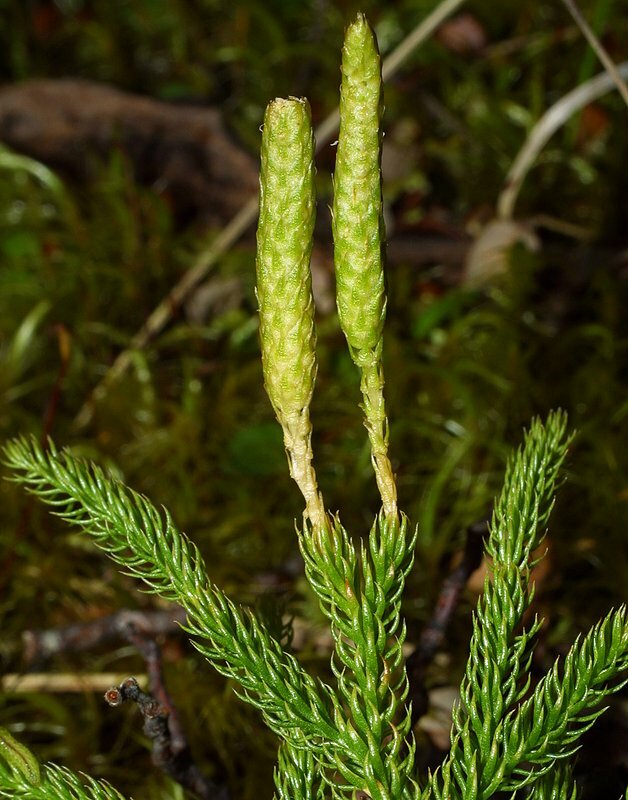 Lycopodium fastigiatum is a terrestrial clubmoss with a creeping stem forming rigid, erect branches. 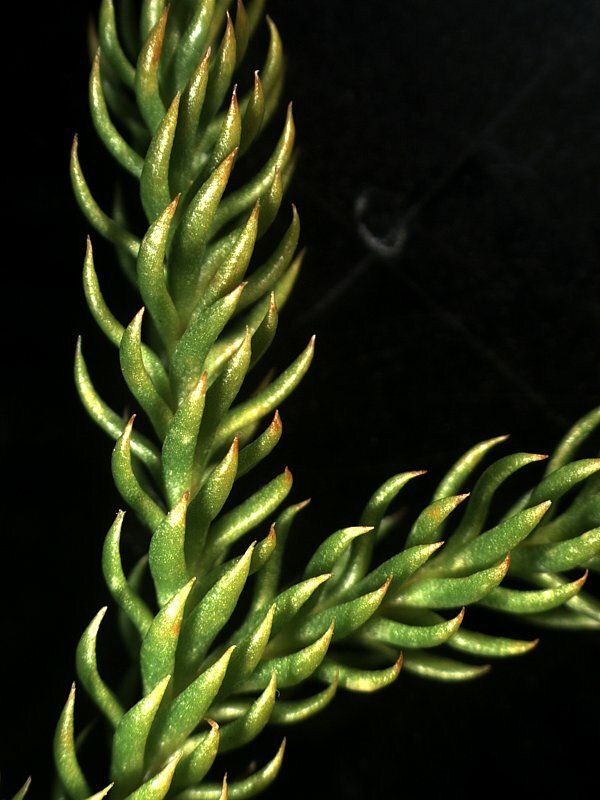 Leaves are spirally arranged and are of one size and shape being narrow, inward curving and with tapering tips. 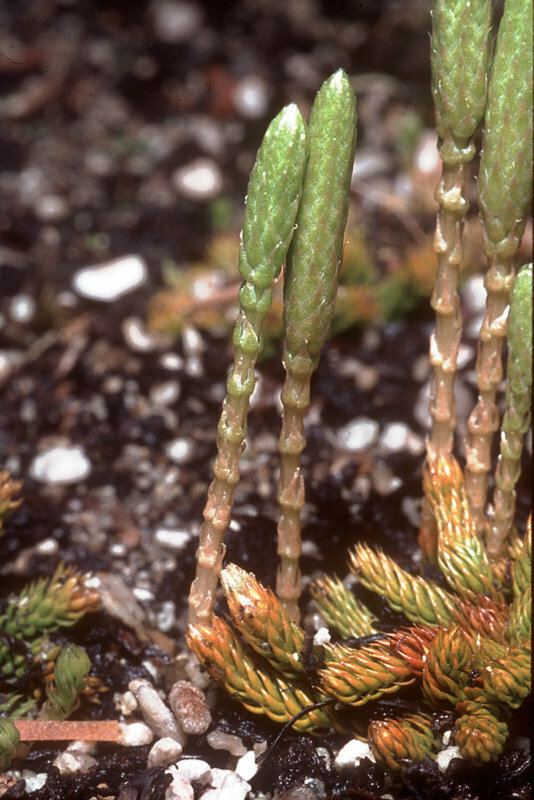 Aerial shoots form erect cones at the ends of branches. 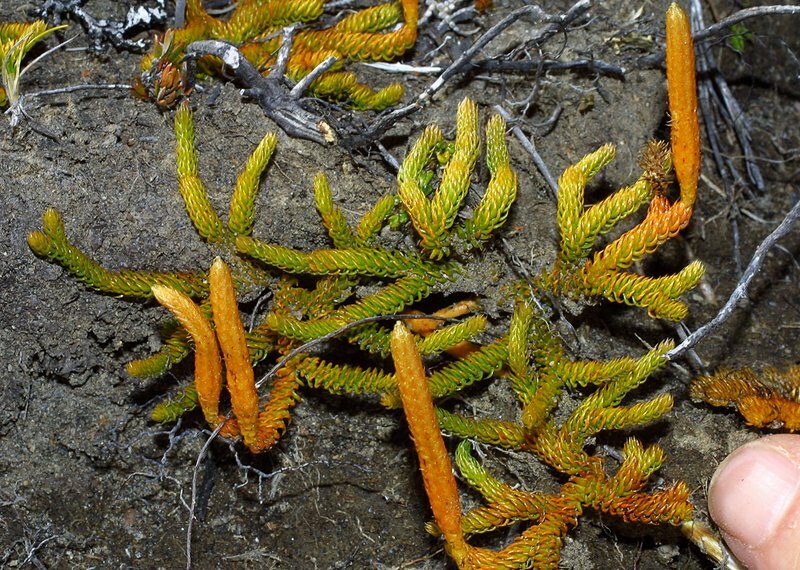 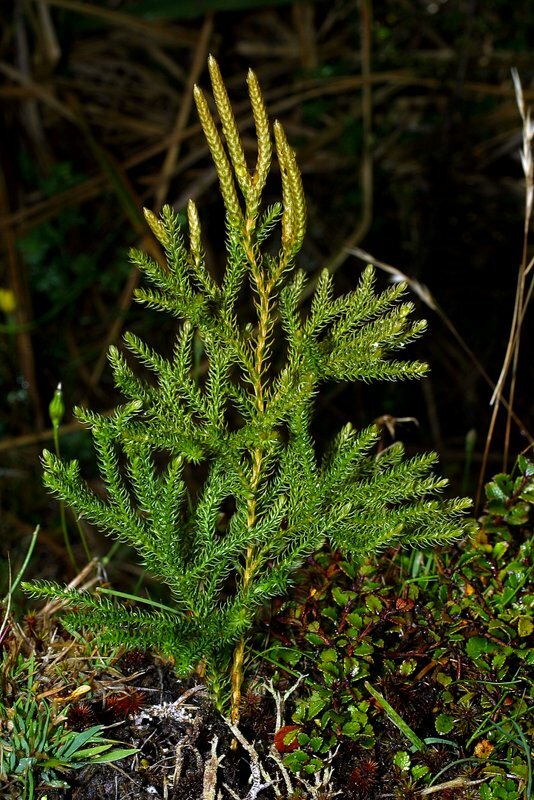 Found on the upper half of the North Island in coastal to lowland forest and scrub and on the Chatham Islands.